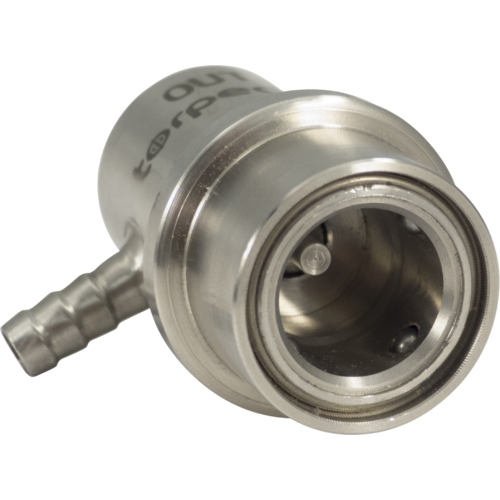 Your Kegs are made out of stainless steel, why settle for plastic Quick Disconnects? 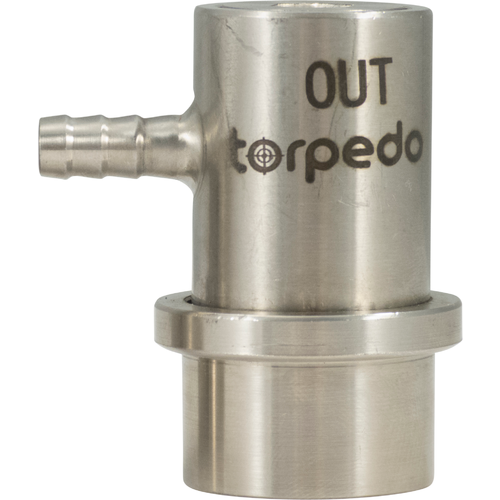 Upgrade your serving setup to fully Stainless with a pair of Torpedo Ball Lock QDs! These hefty pieces are constructed of 304 SS, designed for lifetime longevity. Printed clearly with "In" and "Out" so even after a few they're easy to work with. Available for both Beer Out and Gas In, with either Barbed or Flared connections. See YMAN's below for the appropriate connectors! Perfect with our Torpedo Kegs, these will work with any Ball Lock Corny Keg. More durable than plastic one. I want to see if the stainless steel connects are better than the plastic ones. I chose this Item because it exudes quality. Stainless steel over plastic for food and drink any day!! Good reviews, and am trying to replace plastic where I can in my brewery in general. I wanted to get the good ones right from the beginning. I have one of these and just learned that it is leaking. Has anyone got a fix for this or is mine a lemon? BEST ANSWER: The product may be defective. Assuming it leaks the same way when attached to other beer out posts? When was the product purchased? Where exactly is the leak coming from? The beer is leaking out from under this piece. It appears that it is not keeping a seal when left attached to the keg-out. I cannot keep it attached otherwise it leaks beer continuously. Do you get annoyed with the plastic connectors? I do. You do. Everyone does. The stainless fit perfectly with no aggravation. Over time I think I will be getting a few more of these. These work great, but they are not labeled as indicated on the website. A bit misleading. I would have preferred ones with labels. But they do the job. Neither of my disconnects were labeled with Torpedo In/Out like in the product photos, so it makes me wonder if I could have received some other brand instead. Not a major issue as you can reference the grooves that are on the gas disconnect. 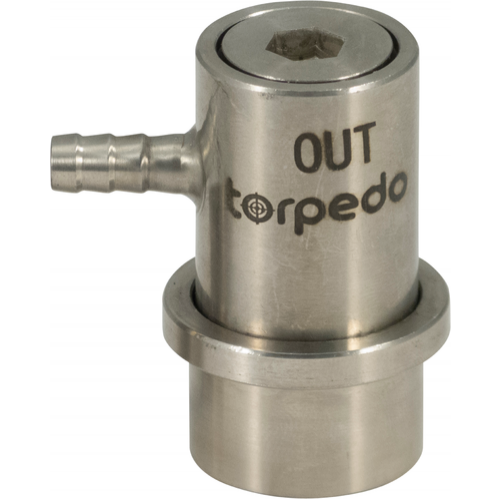 You will need to use this on a torpedo keg. The plastic ones are to tight. This ball lock creates a great seal on my corny keg and unlike the standard plastic ball locks, I don’t have to worry about breaking it at cold temps. These connects are high quality and very well made. The problem arises when even the slightest amount of beer gets in the ball locks or release mechanism. Good luck disconnecting! I wash and rinse the units each time and that makes it easy to connect but, again, They do not come off easily. The good old plastic types are way more forgiving if not as fancy looking. Replaced some older plastic disconnects with these. Much easier on and off than the plastic ones, and I think will be easier to keep clean and sanitized.